The propaganda war intensified between the USSR and the Western Allies. Soviet diplomats treated their American and British counterparts as enemies and the feeling was reciprocated. Cultural contacts ceased. The countries of eastern Europe as well as the communist parties of western Europe fell in line with the Kremlin’s orders. In the West Stalin was depicted as the most evil dictator alive, quite as evil as the German Führer whom he had defeated. At the same time Pravda denigrated Truman and Attlee, characterising them as having the global ambitions – and the methods to match – which Hitler had developed. The two sides shared the assumption that a Third World War might occur between states which until 1945 had been united in armed struggle against the Wehrmacht. Two camps existed around the world, armed to the teeth and rivals for supremacy. Neither camp, however, was looking for military conflict. Even Stalin, whose gloomy axiom was that a Third World War might be postponed but was ultimately inevitable, did not wish to bring the USA to blows with the USSR. But events were stiffening his resolve to face down the Americans. The coincidence of the Soviet Union’s acquisition of the A-bomb and the communist seizure of power in China altered the balance of power in the world. Although American weapons technology remained ahead of its rival, Stalin was no longer going to be easily intimidated in diplomatic exchanges. Pravda announced the achievement with pride. The USA was depicted as a militarist menace to world peace and the Soviet state was put forward as the sole power which could resist American pretensions. What is more, the Chinese Revolution meant that the geopolitics of Asia in particular could never be the same again. 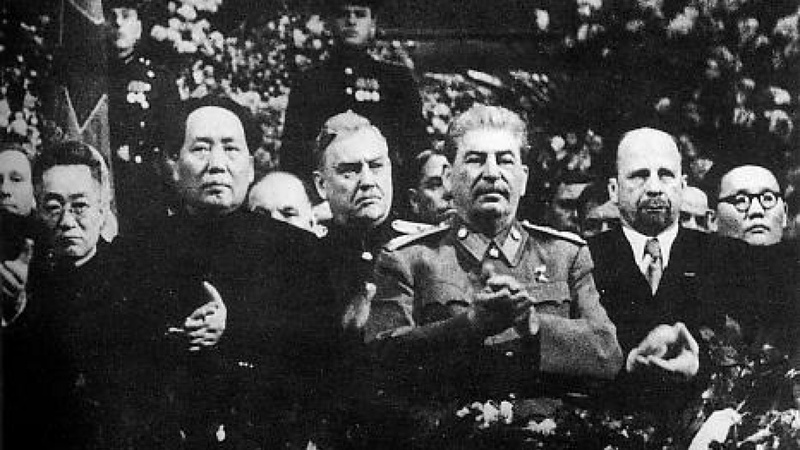 Mao Tse-tung’s initial willingness to defer to Stalin in the interests of obtaining economic assistance was especially cheering to Moscow. Fours years after the end of the Second World War the Soviet Union was reclaiming its right to be treated as a global power on a level with the USA. Few gifts, of course, come without wrapping; and Stalin knew that China’s resurgent power under communist leadership had the potential to complicate his statesmanship. Mao might assert himself like a Chinese Tito. The world communist movement, until then largely unified, would undergo fissiparous strain. There might be a direct clash between the People’s Republic of China and the USSR. Or things might deteriorate more indirectly. The People’s Republic of China could start acting in international relations without consulting the Kremlin and yet somehow entangle the USSR in the adverse consequences. Stalin with all this in mind sent out his Minister of Communications, Ivan Kovalëv, to Beijing to see how closely the Chinese communists were following his recommendations. Unusually he showed Kovalëv’s report to Mao. Stalin’s motives were hardly comradely. Probably he wanted to impress on Mao that the USSR knew more about China’s politics than Mao had imagined. Kovalëv revealed that little serious effort had been made to win over the Chinese working class to the revolutionary cause. He mentioned that land reform was geographically patchy. Kovalëv was also unimpressed by the ideological preparation of the party cadres. Indeed he noted tensions in the Beijing leadership. Kovalëv told Stalin directly that some leaders were not only anti-American but also anti-Soviet. Mao’s close associate Chou En-lai had been heard to wonder why, if Beijing was being told to avoid annoying the USA, it should reject overtures from blackballed Yugoslavia. There was plenty to provoke Stalin’s suspicions and he let Mao know that, unless China toed the Soviet line, assistance from Moscow would not be forthcoming. Diplomatic relations between the USA and the USSR were not broken, but both Moscow and Washington understood that global politics had entered a period of intensified uncertainty. Stalin especially wanted to secure Soviet interests vis-à-vis communist China. He started as he meant to go on. Devastated by decades of civil war, China urgently required foreign economic assistance, and the USSR was the sole possible source for it. Stalin intended to drive a hard bargain. While content to nudge China towards spreading communist political influence in eastern Asia, he demanded Chinese acceptance of the primacy of the Soviet Union in the world communist movement. Yet events in the Far East tempted him to risk moving over to an offensive foreign policy. Since Korea’s liberation from Japanese occupation there had been intermittent civil war, and two separate states had emerged on the peninsula in 1948. The same American military shield which defended Japan protected southern Korea with Seoul as its capital. Meanwhile northern Korea had a communist government, based in Pyongyang, which looked to Moscow for assistance. The armies confronting each other had abundant supplies of equipment and advisers; and both Korean states behaved on the assumption that sooner or later a definitive resumption of hostilities would take place. The Korean communist leader Kim Il-Sung went to Moscow in March 1949 and requested a large increase in assistance so that he might attack the south. Stalin refused, advising the Korean comrades to get on with their preparations but to fight only if invaded. Kim Il-Sung, however, wanted to go to war and continued to act provocatively towards Seoul. He refused to cease making representations to Stalin. In March 1950 he returned to Moscow and argued passionately that the south was there for the taking. If China could be unified under Mao Tse-tung, he asserted, Korea was ready for similar treatment under Kim Il-Sung. Stalin had customarily parried such demands from foreign communist leaders, but Kim Il-Sung touched a raw nerve and Stalin suddenly gave way. It cannot have been the Korean’s persuasiveness which led to the turnabout: Stalin was too circumspect for that. Much had happened since 1945. The USSR’s acquisition of both its own nuclear-bomb capacity and a powerful communist ally in China encouraged him to think that it no longer needed to play its hand weakly against the USA. I also doubted that the Chinese could succeed, and I advised them to come to a temporary agreement with Chiang Kai-shek. Officially they agreed with us, but in practice they continued mobilising the Chinese people. And then they openly put forward the question: ‘Shall we go on with our fight? We have the support of our people.’ We said: ‘Fine, what do you need?’ It turned out that the conditions there were very favourable. The Chinese proved to be right, and we were wrong. Stalin was performing the role of a leader who recognises his own fallibility in order to get his way on the Balkans. But a bullying style came more naturally to him. The People’s Republic of China, with its military and economic potential, could become a handful inside the world communist movement and Mao Tse-tung could become his nightmare. So for once he was probably blurting out what he really thought. Belatedly he saw the need to deal more tactfully with Mao. Kim Il-Sung had made his final plea at a moment when Stalin was most amenable to having his mind changed; and anyway Stalin could not be certain that the Chinese would not support Kim Il-Sung even regardless of the USSR’s consent. Stalin did not disclose his calculations. Molotov was by then in semi-official disgrace and was no longer privy to his thoughts, and everyone in the Ministry of External Affairs simply followed Stalin’s orders. Thus it came about in their meetings in Moscow in April and May 1950 that Stalin sanctioned Kim Il-Sung’s request to support the Korean communist resumption of war. Both Stalin and Mao had allowed themselves to be persuaded that the military campaign would be short and successful. Soviet arms, munitions and other equipment were carried by the Trans-Siberian Railway to Korea. Kim Il-Sung began his offensive on 25 June. Superior in every sector of military resources, the Korean communist forces swept south and captured Seoul three days later. It looked as if the basic premise of Stalin’s discussion with Kim Il-Sung was about to be realised as a rapid victory was achieved before the rest of the world could blink. But the two communist interlocutors had made a profound miscalculation. Truman was shocked but not deterred. Instead he ordered his diplomats to go before the United Nations Organisation Security Council and secure a vote in favour of armed intervention to prevent the overrunning of South Korea. This task was facilitated by a previous blunder by Stalin who, objecting to the continued recognition of Chiang Kai-shek’s regime in Taiwan as the legitimate Chinese government and its right to occupy China’s seat in the Security Council, had been boycotting the body. In the absence of a Soviet veto, the Security Council approved the American proposal. Stalin repudiated the advice of his Ministry of External Affairs to drop the boycott so as to prevent the Americans and their allies from landing with the legitimacy conferred by the sanction of the United Nations. This was ham-fistedness on a scale he had not shown since 1941. The United Nations forces, primarily American, were led by General Douglas MacArthur. Their rapid deployment was made possible by the American occupation of nearby Japan, and by the end of September they had already halted the communist advance and retaken Seoul. Next month they had crossed the 38th Parallel into north Korea. Kim Il-Sung was desperate; he had no alternative but to turn to Stalin for direct military assistance even though he knew the likely response. Mao Tse-tung was less reluctant since he assumed that war between the USA and the People’s Republic of China was just a matter of time. The Chinese resolved upon aid for the Korean communists before consulting Stalin. But Mao still expected the Kremlin to send weapons for the use of the twelve divisions about to be dispatched by China. The news of MacArthur’s success came through to Moscow; it was relayed to Stalin beside the Black Sea. His was a curiously semi-detached oversight over Soviet security interests notwithstanding his ability to stay in touch by phone and telegrams. When he was down in the south he held none of the frantic face-to-face discussions with political and military leaders such as had been his wont in the Second World War. Suddenly the crisis on the Korean peninsula deepened, and Stalin had to take a strategic decision. Kim Il-Sung demanded urgent additional assistance, pointing out that without help the communists would soon lose the entire war. Stalin had the choice either to accede to Kim Il-Sung’s request or simply to withdraw from the war before things got entirely out of hand. The problem was that geopolitics would certainly be transformed in favour of the USA unless the Korean communist cause was supported; and the humiliation for Stalin and the USSR would be immense since it was an open secret that Soviet covert assistance to Kim Il-Sung had already been substantial. It was a tricky moment. While cursing himself for having been taken in by Kim Il-Sung earlier in the year, he could hardly fail him in his time of crisis. Yet he also had to be wary of escalating the hostility between the USSR and the USA to the point that open war might break out between them. He chose the option of cunning. On 1 October he sent a telegram to Beijing calling on Mao to transfer ‘six or seven divisions’ to the 38th Parallel. This was the line of latitude which cut Korea politically in half. If the communists could repel the American advance at that point, Kim Il-Sung would hold on to an area of respectable size. At all costs Stalin needed to avoid a direct collision between the forces of the USA and the USSR while continuing to protect Soviet geopolitical interests. Mao needed some persuading that the Chinese alone should take such responsibility for the defence of north Korea. It seemed odd that Stalin, having recently pulled rank over Mao as the leader of an already mighty military and economic power, should shuffle off the burden of war so readily. How could Stalin square the circle? Of course I had to reckon with the fact that, despite its lack of preparedness, the United States may still pull itself into a big war for reasons of prestige; consequently China would be dragged into the war, and the USSR, which is bound to China by the pact of mutual assistance, would be dragged into the war as well. Should we be afraid of this? In my opinion we should not since together we will be stronger than the United States and Great Britain . . . If war is inevitable, let it happen now and not in a few years when Japanese militarism will be restored as a US ally and when the United States and Japan will have a beach-head on the [Asian] continent ready in the form of Syngman Rhee’s Korea. The effrontery of this case is unmistakable. Still he was essentially claiming that the Americans would have no stomach for a fight. But if this was true, why did Stalin insist on the Chinese doing his fighting for him? The People’s Republic of China in any case had a continuing horror that its territorial integrity would be threatened if Syngman Rhee, the Korean politician supported by the Americans in the south of the country, were to rule all Korea. Tense negotiations followed. While Stalin tried to get the Chinese to fight in the Far East on behalf of world communism, Mao and his comrades sought the maximum amount of Soviet equipment. Both sides came close to breaking up their talks about Korea.10 Stalin’s brinkmanship on 12 October involved sending a letter advising Kim Il-Sung that the war was lost and that he should evacuate his forces to safety in China and the USSR. Mao gave way next day, and Stalin was able to announce to Kim that the Korean comrades would soon be receiving massive reinforcement by Chinese troops. Theoretically the troops would be volunteers, but in practice they would consist of divisions drawn directly from the People’s Liberation Army. On 19 October they crossed the Yalu river on to Korean territory. Within days they were engaging the forces led by the Americans. They fought with the assistance promised by Stalin. 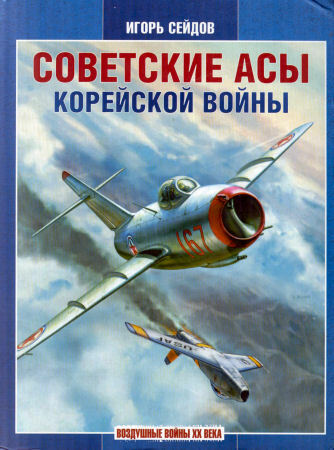 Soviet armaments and munitions were abundantly supplied; and, in the case of fighter planes, Stalin was sufficiently keen that the aircraft should be properly handled that he provided his own aviators dressed in Chinese uniforms. Stalin after some vacillation had complied. What had started as a war fought on the far edge of Asia had the potential to explode into a global conflict with the victorious members of the Grand Alliance at each other’s throats. Stalin did not reveal his calculations but probably he was exercised by a mixture of factors. He did not want an American puppet state of Korea on his borders. He did not wish the USSR to lose prestige in the world communist movement when the People’s Republic of China aided a fellow communist power. He may also have felt that Mao had a serious chance of pulling off what Kim had failed to do. The logistics of military supply were easier for China and the USSR than for the USA. Perhaps Stalin was also guessing that American forces would be tied down and exhausted in Korea even if they were not defeated outright. Stalin’s basic assumption was that world war could be postponed but not made avoidable. Whatever he may have calculated about the Korean situation, though, he let on to nobody what it was. He was in a position, as in August 1939 when Ribbentrop came a-courting to the Kremlin, to ignore the opinions of others; and he made it a habit to leave few traces of his mental pathway to each important decision. This helped him to go on keeping the rest of the world guessing. The more enigmatic he was in global politics, the less likely he was to be taken for granted. Events in Korea increased in difficulty as Stalin and his associates pondered what to do. Broader factors came into play. Stalin the pragmatist was also a man of ideological assumptions, and he genuinely believed that the treaties signed at the end of the Second World War were documents destined to be ripped up when the world descended into a Third World War. Chances to expand communist influence in the meantime had to be seized. Stalin’s spies led him to conclude that Truman would not intervene to save the unpopular southern government. The USSR had acquired effective nuclear weapons in August 1949 and had to be handled more carefully by the USA. The Sino-Soviet alliance boosted Moscow’s global weight still further – and indeed Stalin had to take account of the fact that Mao Tse-tung was fully capable of offering active support to Kim Il-Sung regardless of Stalin’s wishes: Mao had greater freedom of choice than even Tito. The Chinese entry into the Korean War turned the scales in favour of the communist cause. Mao’s People’s Liberation Army crossed the Yalu river into Korea on 19 October 1950 and MacArthur’s campaign hit serious trouble, especially after the arrival of the Soviet air units in the following month. The movement towards a world war shifted up another notch on 31 December when Chinese forces thrust south and crossed the 38th Parallel. Seoul was taken the next month. MacArthur demanded permission to carry the fighting on to Chinese soil. At this time neither Stalin nor Mao was in the mood for compromise. Mao’s own son was mobilised for the war. (He was killed in action.) It looked as if the Americans were about to lose the war on the Korean peninsula. Meanwhile Stalin had to deal with Europe, and he was especially concerned about Italy and France. Greece was already settled in Stalin’s mind: he had not intervened in the Civil War there, had resented Greek communist demands for permission to operate as if a socialist seizure of power was possible and had left Athens to the repressive zeal of the Alexandros Diomidis government. Italy and France were a different matter: their communist parties gave him much less trouble and it had been easy to quell those of their leaders who seriously contemplated insurrection in Rome and Paris. As relations worsened with the Western Allies, they became pawns in Stalin’s European game. Although his strategy remained the avoidance of war with the USA, he did not mind making things awkward for the Americans wherever he could. For this reason he demanded a more boisterous policy for the Italian Communist Party and the French Communist Party. This was explained to the representatives from Italy and France at the Second Conference of the Cominform in June 1948. As usual, Stalin and the Soviet leaders admitted no mistake on their part. Instead Togliatti, Thorez and their subordinates were blamed for not seeing the need for more radical measures than the Kremlin had previously stipulated. By the beginning of the 1950s Stalin’s grip on world affairs was weaker than in previous years. The Korean War was raging and, with Soviet pilots and military equipment involved, was capable of spiralling into a Third World War. The Chinese People’s Republic complicated everything by urging Stalin to fight to the bitter end; Mao Tse-tung by his behaviour showed he could be just as independent of Moscow as Tito – and the stakes of China’s foreign adventures were very high indeed. Stalin could not even control all the communist parties in Europe. When he summoned Palmiro Togliatti to leave Italy and take the leading position in the Cominform, he received a brisk refusal. Togliatti wanted to guide the Italian Communist Party through the complications of post-war Italian politics and had no interest in putting his life at risk by working in proximity to Stalin. Meanwhile Tito stayed imperturbably in supreme office in Belgrade. Elsewhere in eastern Europe there was the silence of the political graveyard; but the People’s Democracies were far from quiet below the surface: resentment of the communist seizure of power in these countries was deep, and only the threat of unconditional repression kept order for Stalin. Yet it was the Korean War which constituted the most deadly danger to Soviet interests. Stalin could not overlook the Americans’ advantage in the number of nuclear weapons and in the proximity of their foreign airbases to the USSR. Perhaps, though, he knew more about Truman’s intentions than anyone realised at the time. Soviet agents existed in the British establishment. Among them were Kim Philby and Donald Maclean. When Prime Minister Clement Attlee flew to Washington in early December 1950 to protest at confidential American discussions on using nuclear bombs in the Korean War, he was given an assurance by President Truman that only conventional weaponry would be deployed. It is highly probable that Maclean, head of the American desk at the Foreign Office, dispatched the news to Moscow. Stalin would thereby have known that Truman was not looking for a fight. Even so, there could still have been a world war with conventional weaponry; and there was no way of guaranteeing that one side or the other would not, in a desperate moment, resort to its nuclear arsenal. Although he was not a totally reckless gambler, Stalin was not a cautious one either. He risked much, much more than he should have done if he really regarded peace around the world as a supreme priority. The Third World War did not break out. But the situation developed in a manner perilously close to all-out global conflict; and much responsibility lay on Stalin’s shoulders. If he had not financed and equipped Kim Il-Sung, the civil war in Korea could not have been resumed with the intensity it attained.